Room 6 created monster glyphs to get to know each other better. Use the chart below to help you “read” the monsters. 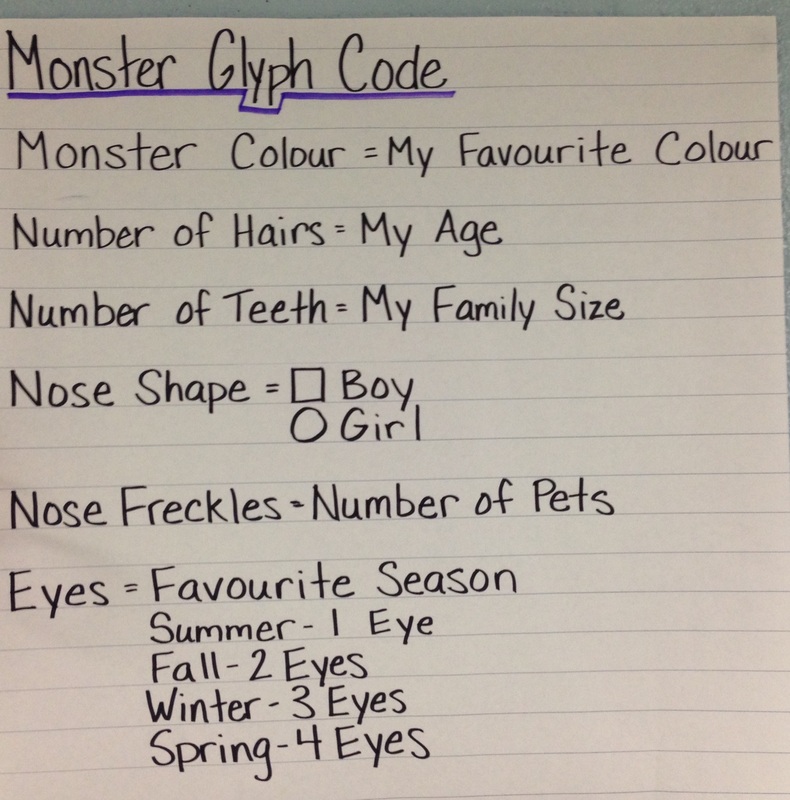 This entry was posted in Numeracy, Updates and tagged back to school, Data Management, monster glyphs by Ms. Duemm. Bookmark the permalink.